Our Hatfield family, I have long been told, was closely related to the Hatfield family in the Hatfield-McCoy feud of West Virginia. Specifically, I was told by my great-aunt that my great-great-great-grandmother, Polly Hatfield Plymale was the sister or aunt of Devil Anse Hatfield. Unfortunately (or perhaps fortunately), that has proven false through DNA evidence. Despite the fact that they lived in the same area, and shared the same relatively uncommon name, our Hatfields were not related at all. Some subsequent research has posited that our line of Hatfields descend directly from Jurian Hartsvelder, a German immigrant to Pennsylvania in the 1600's. A recent and ongoing Hatfield DNA project has begun answering many questions. Specifically, our branch of Hatfields (descendants of John Hatfield and Catherine Supplee) were not descended from the Jurian Hartsvelder line of Pennsylvania, the Matthias Hatfield line of New Jersey or the Hatfields of Hatfield-McCoy lore. Refer to the Hatfield DNA project discussed on Jerry Hatfield's Hatfield website. Also, the DNA project's website is here. John Hatfield was born circa 1717. John was married on November 20, 1736, in Philadelphia, to a woman named Catherine Supplee, of French and Dutch descent. They had 7 known children: Thomas, Andrew (see next generation), Elizabeth, Edward, Adam, Sarah and John. Not much is known of them. Since John's descendants had no genetic match to the various other American Hatfield lines in the Hatfield DNA Project, one guess is that John might have been the immigrant ancestor from this line. John married Catherine Supplee on November 20, 1736 in Philadelphia, Philadelphia Co., Pennsylvania. She was born circa 1717 in Upper Merion, Montgomery Co., Pennsylvania. She died after 1757 in Virginia. 1 Thomas Hatfield was born circa 1737 in Shrewsbury, Gloucester Co., New Jersey. He died in 1785 in Grayson Co., Kentucky. 3 Elizabeth Jane Hatfield was born circa 1739 in Pennsylvania. 4 Edward Hatfield was born circa 1740 in Pennsylvania. 5 Adam Hatfield was born on November 3, 1741 in Philadelphia, Pennsylvania. He died on November 9, 1795 in Cincinnati, Hamilton Co., Ohio. He married Margaret Dilworth in 1772 in Westmoreland Co., Pennsylvania. 6 Sarah Hatfield was born on December 16, 1743 in Pennsylvania. 7 John Hatfield was born on May 1, 1745 in Oxford Twp., Philadelphia Co., Pennsylvania. He died on August 4, 1813 in Dauphin Co., Pennsylvania. He married Sarah Patton on January 2, 1775 in Lancaster Co., Pennsylvania. Andrew Supplee Hatfield was born on July 25, 1737 in Philadelphia, Philadelphia County, Pennsylvania. He died on January 15, 1813 in Cabell Co., Virginia (now West Virginia). In his youth, Andrew moved to Virginia, where he may have married his wife Christina (either Powell or Snidow) in about 1757. Andrew and his family probably first lived in the general area of Loudoun County, in northeastern Virginia, which was generally settled by people from Pennsylvania and Maryland (which would make sense if he was from the area of Philadelphia). At some point probably before the 1770's, they moved out west to Montgomery (now a part of Giles) Co., Virginia. It was while living there that Andrew had military service. In 1774, he is said to have served at the Battle of Point Pleasant in what is now West Virginia in Dunmore's War (1773-1774). He afterwards served in the American Revolution, and was a Militia Captain in 1781. In about 1800, Andrew moved with his family to what was then the western border of Virginia, but is now the state of West Virginia. They settled at what is now Cabell County, West Virginia. In 1802, Andrew is said to have purchased 578 acres at Roach, in Cabell County. This land was, and still is, in a rural area in the southern part of the county. Andrew is said to have owned all the land in the area later referred to as Hinchman Bend. The burial place of Andrew and his wife Christina is not known. The D.A.R. has placed a Revolutionary grave marker for him in the Hatfield Cemetery at Roach, yet others believe that he and his wife were buried in the Frye (Hinchman Family) Cemetery at Salt Rock, West Virginia. Still others believe that they were buried in a place that has been eroded by river flooding. Andrew married Christina Powell (or Snidow) circa 1757 in Virginia. She was born circa 1735 and died on October 25, 1809 in Cabell Co., Virginia (now West Virginia). 1 Nancy Catherine Hatfield was born on October 25, 1760 in Loudon Co., Virginia. She died circa 1845 in Cabell Co., Virginia (now WV). she married John McComas on February 21, 1786 in Montgomery Co., Virginia. 3 John Hatfield was born on December 19, 1765 in Loudon Co., Virginia. He married Mary McComas on February 27, 1788 in Montgomery Co., Virginia. 4 William L. Hatfield was born circa 1767 in Loudon Co., Virginia. He died circa 1840 in Fayette Co., Ohio. He married Anna Brumfield on April 2, 1793 in Montgomery Co., Virginia. 5 Andrew Hatfield was born circa 1769 in Montgomery Co., Virginia. He married first Mary Marrs on October 13, 1798 in Montgomery Co., Virginia. He married second Frances Pennell on April 3, 1836 in Cabell Co., Virginia (now WV). 6 Jonas Hatfield was born circa 1772 in Virginia. He died in 1840 in LaPorte, Indiana. He married Nancy Ann Williams on August 8, 1801 in Montgomery Co., Virginia. 7 John Hatfield was born on January 11, 1773. 8 Adam Hatfield was born on October 19, 1774 in Montgomery Co., Virginia. He died on June 18, 1866 in Inez, Cabell Co., Virginia (now WV). He married Mary Williams on December 3, 1799 in Montgomery Co., Virginia. 9 Edward Hatfield was born circa 1775 in Virginia. 10 Thomas S. Hatfield was born on April 8, 1777 in Montgomery Co., Virginia. He died on June 21, 1859 in Hancock Co., Indiana. He married Hannah Sample in 1804 in Kanawha Co., Virginia. 11 William Hatfield was born circa 1779 in Virginia. 12 Moses Hatfield was born circa 1780 in Virginia. He died in 1835 in Ohio. He married Catherine John in 1805 in Greene Co., Ohio. 13 Sarah Hatfield was born on February 3, 1783 in Virginia. She died on June 25, 1863. She married James Barrett on June 1, 1802 in Kanawha Co., Virginia. Isaac Hatfield was born on August 3, 1763 in Loudon County, Virginia 6. He died in or before March 1823 in Ranger Ridge, Cabell (now Lincoln) Co., Virginia (now West Virginia) 6. Isaac was raised in northeastern Virginia and as a child moved with his family to what is now Giles County, Virginia, close to the border with West Virginia. 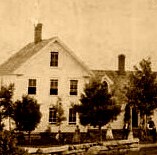 It was while living there that Isaac was married to Mary French and began raising his children. In about 1800, Isaac and most of his family and relatives moved out west to what is now western West Virginia. At the time they settled there, the area was part of Kanawha County, Virginia. While Isaac's parents settled at what would become Roach, in Cabell County, West Virginia; Isaac and his family settled farther south in the part of Cabell County that became Lincoln County in 1867. They settled off of Ranger's Branch, a tributary to Ten-Mile Creek in Lincoln County. (The area that they lived in has been referred to as Ranger Ridge.) Isaac was enumerated with his family in the 1820 census. He then died probably sometime in early 1823. In March of 1823, his estate was inventoried and his assets sold. His wife survived him. Isaac married Mary French on May 13, 1788 in Montgomery (now Giles) Co., Virginia 7. 1 Lasher Hatfield was born circa 1790 in Montgomery (now Giles) Co., Virginia 6. He probably died before 1815. 2 James Addison Hatfield was born on March 15, 1791 in Montgomery (now Giles) Co., Virginia 6. He died on November 24, 1854 in Cabell Co., Virginia (now West Virginia) 6. He married first Mary Bias on October 30, 1817 in Cabell Co., Virginia (now WV) 7 . He married second Rebecca Brown in 1819 in Cabell Co., Virginia (now WV) 6. He married third Zerelda Dunlap circa 1822 in Cabell Co., Virginia (now WV). 3 Andrew French Hatfield was born in February 1796 in Montgomery (now Giles) Co., Virginia 6. He died on November 7, 1851 in Greene Twp., Hancock Co., Indiana 6. He married Mary Ann Dennison in 1822 in Cabell Co., Virginia (now WV) 6. 4 John Hatfield was born circa 1797 in Montgomery (now Giles) Co., Virginia 8. He died in 1858 in Platte Co., Missouri 6. He married Susan F. Brumfield on February 27, 1823 in Cabell Co., Virginia (now WV) 7. 5 Anna Hatfield was born circa 1799 in Montgomery (now Giles) Co., Virginia 8. She died after 1860 in Pettis Twp., Platte Co., Missouri. She married first George Rogers circa 1810 in Cabell Co., Virginia (now WV). (He was born sometime between 1780-1790 in Virginia and died circa 1831 in Cabell (now Wayne) Co., Virginia (now West Virginia). She married second Bostic Brumfield circa 1832 in Cabell Co., Virginia (now WV). (He was born circa 1814 in Virginia (now WV) and died between 1860-1870 in Pettis Twp., Platte Co., Missouri). Anna and her family moved from what is now West Virginia to Platte Co., Missouri sometime between 1850-1854. One source indicates her husband Bostic went to California during the gold rush of 1849 and died there. Since he was living with her in 1850 and 1860, that is not possible. If he went to California, he returned to his family, unless the move to California was after 1860. 6 Sarah Hatfield was born circa 1800 in Montgomery (now Giles) Co., Virginia 8. She died on October 10, 1857 in Cabell (now Lincoln) Co., Virginia (now WV) 6. She married William Claudis Smith on April 4, 1811 in Cabell Co., Virginia (now WV) 7. 7 Isaac S. Hatfield was born circa 1803 in Cabell Co., Virginia (now WV) 8. He died on October 13, 1876 in Illinois 6. He married first Rachel Drake on January 21, 1827 in Cabell Co., Virginia (now WV) 7. He married second Elizabeth Moore on December 25, 1843 in Cabell Co., Virginia (now WV) 7. 9 Elizabeth Hatfield was born on November 23, 1804 in Cabell Co., Virginia (now WV) 6. 10 Rebecca Hatfield was born circa 1806 in Cabell Co., Virginia (now WV) 8. She died on August 4, 1868 near Santa Clara in Santa Clara Co., California 10. She is buried in the Mission City Memorial Park, Santa Clara, Santa Clara Co., California. Rebecca and her family moved from Cabell Co., Virginia (WV) to Platte Co., Missouri in 1841. Sometime during the 1860s, Rebeccau moved with all of her surviving children to California. 11 Elisha M. Hatfield was born on December 25, 1810 in Cabell Co., Virginia (now WV) 6. He died on August 29, 1893 in Galesburg, Knox Co., Illinois 6. James L. Hatfield (c. 1857-??? Mary Ann Hatfield was born on February 8, 1804 in Cabell County, Virginia (now Lincoln County, West Virginia) 1,2,3,4. She died on April 3, 1875 in Manzanita Pct. (now Medford), Jackson Co., Oregon 1,2,3,5. She is buried in the Jacksonville Cemetery, Jacksonville, Jackson Co., Oregon. Mary was raised in Cabell Co., Virginia (in the part that became Lincoln Co., West Virginia in 1867) where her parents were farmers. Early in her life she began going by her pet name "Polly", probably to differentiate herself from her mother who was also named Mary. When her father died in 1823, Polly inherited one heifer from the estate. She afterwards continued to live with her mother or other relatives. Mary was married to Gabriel Plymale on October 16, 1828, at the age of 24. They settled on a farm in the part of Cabell County that became Wayne County in 1841. They lived there for 6 years, until 1834, when they sold the farm and moved away. They went to Knox County, Illinois, and settled in Galesburg Township near the city of Galesburg. It was said by her grandson that Mary and her family moved away from Virginia because they did not approve of slavery. Mary had 10 children, all of whom survived to adulthood. Mary and Gabriel lived in Illinois for several years where they were farmers. They eventually became inspired by stories of gold out west and in 1852, left on a wagon train bound for the Oregon Territory. They arrived in southern Oregon in the fall of 1852, and settled briefly in the bustling gold-mining town of Jacksonville, Oregon. Sadly, Mary's husband Gabriel and oldest son Anderville both died within two months of their family's arrival in Oregon. Mary remained with her children in Jacksonville over the winter of 1852-1853. The following spring, Mary settled a donation land claim of 320 acres in the valley east of Jacksonville. The Plymales did well in cultivating this ranch and raising their status in the community. In about 1867, she left the farm to her older sons and moved with her younger children to Jacksonville. There, she lived with her daughter Sarah Zigler's family. In about 1872, Sarah and her family moved away. At about that time, Mary moved back to the Plymale ranch where she lived with her son Francis and family. In 1872, Mary underwent a surgery to repair cataracts in her eyes. She died at her son's house on April 3, 1875, in what is now a part of Medford, Jackson County, Oregon. Physical appearance: Unfortunately, no known photograph of Mary survives. Based though on comparing the photographs of seven of her children and members of her husband's family, my guess is that Mary looked most like her daughters Minerva Plymale Armstrong or Emily Plymale Autenrieth. She married Gabriel Plymale on October 16, 1828 in Cabell Co., Virginia (now West Virginia) 1,3,4. For information about their children, see his page. 1. Plymale, John F. The Plymale Family in America. Commercial Printing & Lithographing Co., Huntington, WV, 1967. 4. Genealogical Material in Oregon Donation Land Claims. 1962, Volume 3.